One of the easiest ways to access the arts in the classroom is through the Elements of Art, Music, Drama, Design and Dance. Each art form has a set of basic elements that are interwoven throughout the curriculum. What’s important to know about these elements are that they each contain the foundations for building skills and processes. For arts teachers, this offers a way to continually refine student learning and application. For classroom teachers, this offers a chance to quickly apply and create using these overarching understandings. We have found that these posters from our Creative Mindset Blueprint online class really help teachers to make the connections quickly. 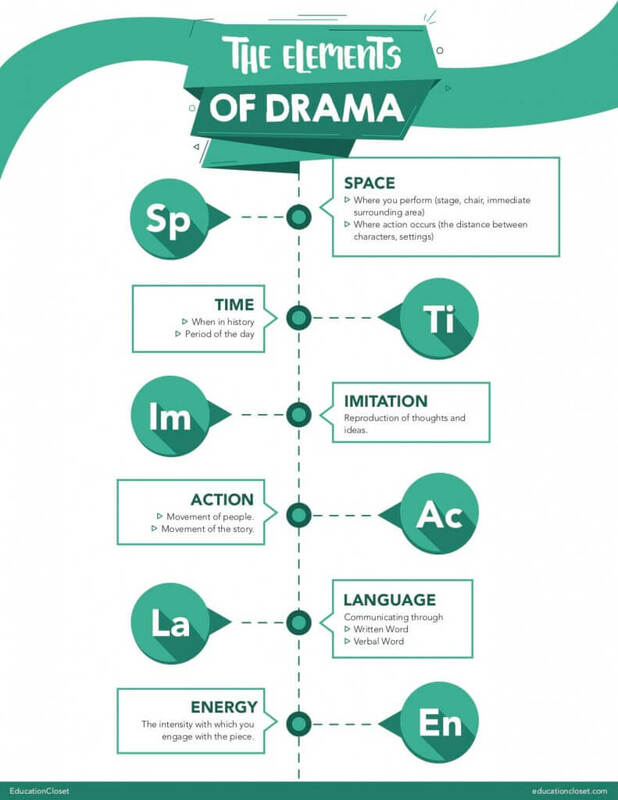 Here’s a quick listing of the elements of art, music, drama, design and dance. 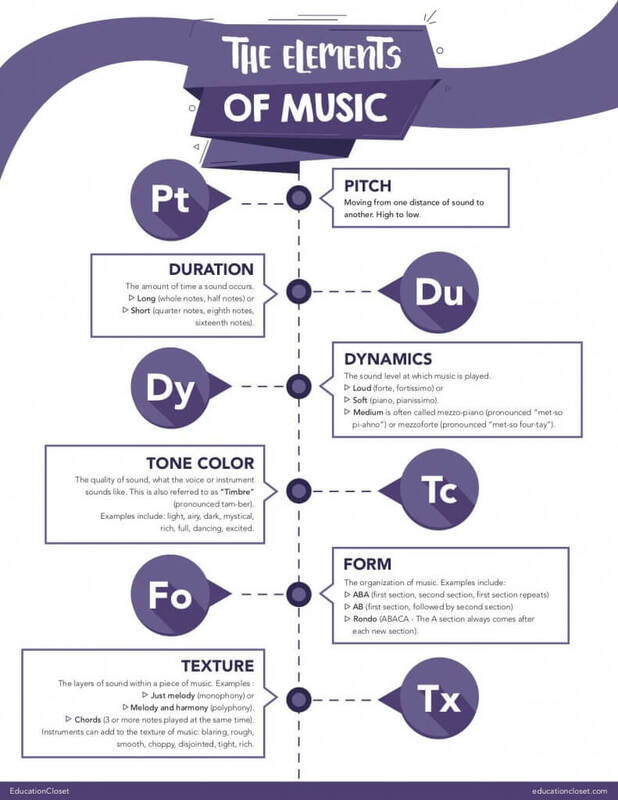 You’ll notice that some of these elements are shared between art forms, which makes it even easier to create connections. Here are some helpful tips for using the elements in and out of the classroom. 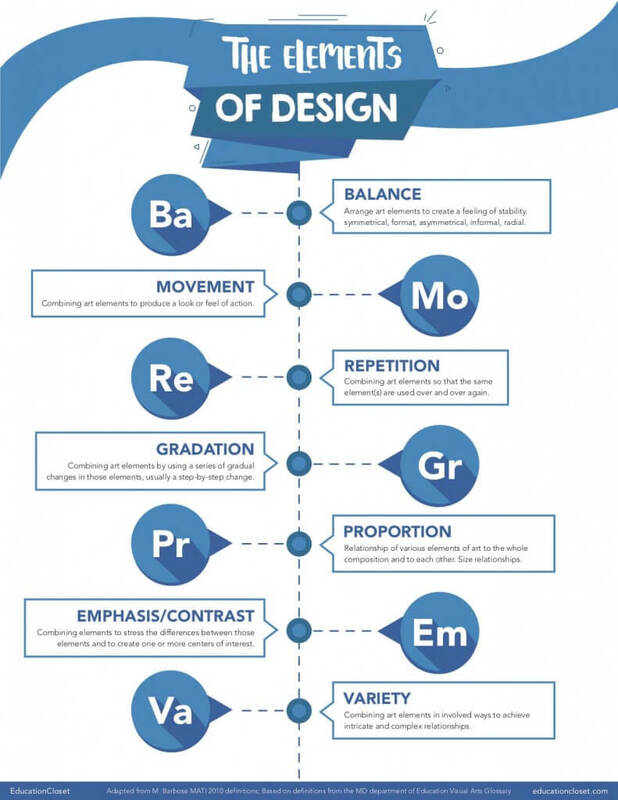 Try putting up the Elements posters as anchor charts in your room. These can serve as a way to remind both you and your students to look for patterns across content areas. Use the posters as an opportunity to connect cross-curricular vocabulary. This is a wonderful way to also include inquiry! You might start off with a vocabulary question like “What does Shape look like?”. This element appears in more than one area, so it provides a prompt for lots of discussion and consideration. Speaking of prompts, these posters are a great way for you as the teacher to think about creating an arts integration or STEAM lesson. Just by looking at the elements in the posters above, you probably already have some ideas. These terms can be the way into an integrated lesson if you’re ever feeling stuck. We all need to use more brain breaks in our classrooms. Students need some margin to recover, reflect and refresh. Use the elements as a way to provide a 1 minute break or transition. Try something like, “for the next 30 seconds, stand up and move to another part of the room using a free flow and strong weight (both from the elements of dance)“. 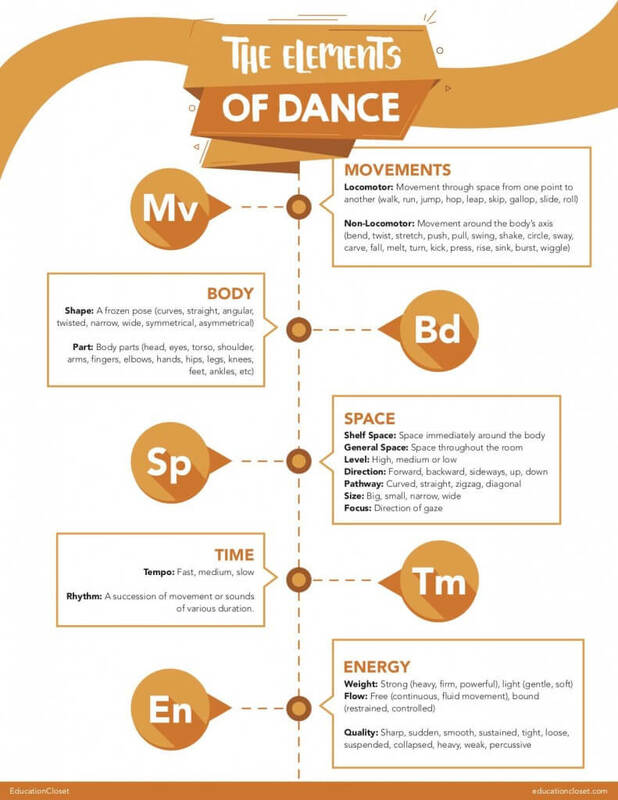 The elements of art, music, drama, design and dance are a genius way to get started or enhance any arts integration lesson, unit or team effort. Enjoy using these posters in your classroom!